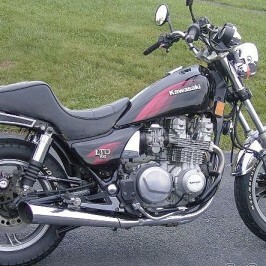 A few years ago, I began parting out old Japanese bikes and selling them on eBay. It’s been an enjoyable learning experience and gave me some extra income to boot. 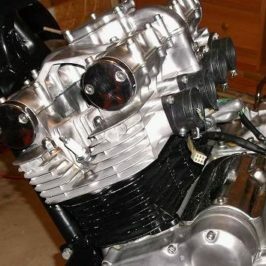 After a few go-rounds with heavily rusted parts, I looked into what it would take to restore the parts to their original condition. Research pointed me in the direction of sand/media blasting. 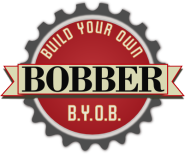 After watching several you tube videos like this, I was hooked and my deep dive into sandblasting equipment began. The first thing that I needed to consider was an air compressor (below). An air compressor used to sand/media blast should meet several specs to get the job done right. In my case, the compressor also needed to be quiet because it will live in the basement under the living room. The HP rating of the electric motor. A five-horsepower motor is good. The size of the storage tank. The rule of thumb is that bigger is better. Sixty-gallon vertical tanks are popular. The ‘cubic feet per minute’ (CFM) of air that the compressor can deliver at a given pressure. Bigger is better here too…the larger the number of CFM at 90 PSI, the better the compressor is for blasting. Pump speed is important. The lower the pump speed, the quieter the compressor. The quietest units will have a pump speed of 900 RPM or less. 12-15 CFM for small parts, hand-held brackets, pulleys, master cylinders, generator housings, voltage regulators, covers and possibly an occasional radiator bonnet. 16-20 CFM for small parts, forks, battery boxes, jacks, valve covers, shrouds and small painted wheels. 20-25 CFM for larger parts inside larger cabinets still capable of being held by hand, such as oil pans, motorcycle gas tanks, brake drums, timing covers, wheels, bike frames, parts for weld repair and more. 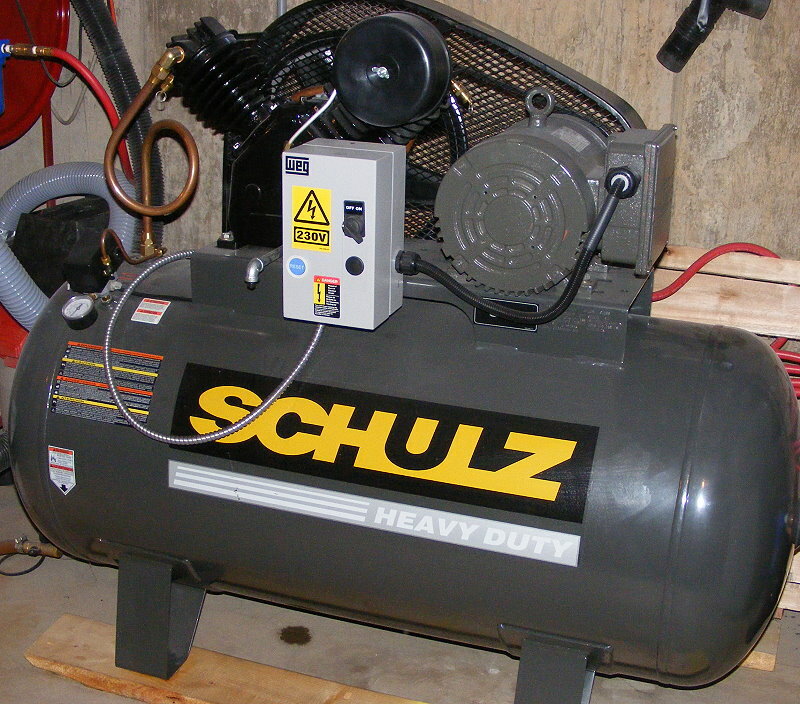 The compressor that fit my specs and budget is the Schulz, Model 580hv20x-1 (above). This model has an 80-gallon tank. 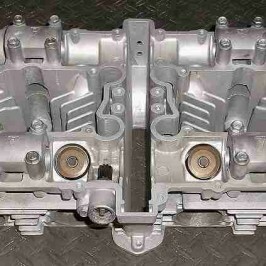 It’s normal for the compressor to run when sand blasting but it shouldn’t run continuously. The 80-gallon tank allows the motor to run about half of the time. Other important features include 820 RPM (for quiet operation), 5 HP, 175 PSI and 20 CFM. 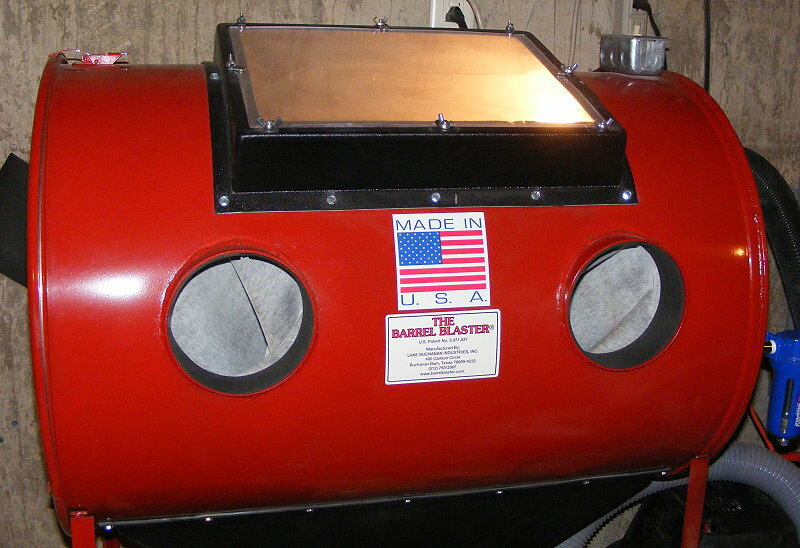 The tank is powder coated and ASME certified. Next, what about a cabinet? Something that seals well is important. Keeping the dust and blasting media in the cabinet, rather than flying around the room, is a good thing. There are many cabinets to choose from and at many different price points. My cabinet is the Barrel Blaster. It’s made in the USA. The Barrel Blaster loads from the side. Side load makes for easier loading of big objects (check the photo/video page for an inside view). The size of the Barrel Blaster is ideal for bike parts, except maybe tall wheels. How’s customer service? Well when I needed it, it was provided by the owner of the company. Yeah, enough said. There are numerous kinds of filters, dryers, moisture separators, etc. Given the multitude of choices, there are probably an infinite number of ways to set up rig. The one accessory that I’ve found to be helpful and worth mentioning is the Dust Deputy (left). This unit, patented by Oneida Air, uses centrifugal force to separate and remove over 99 percent of dust and debris from the air-stream before it reaches the shop vac. 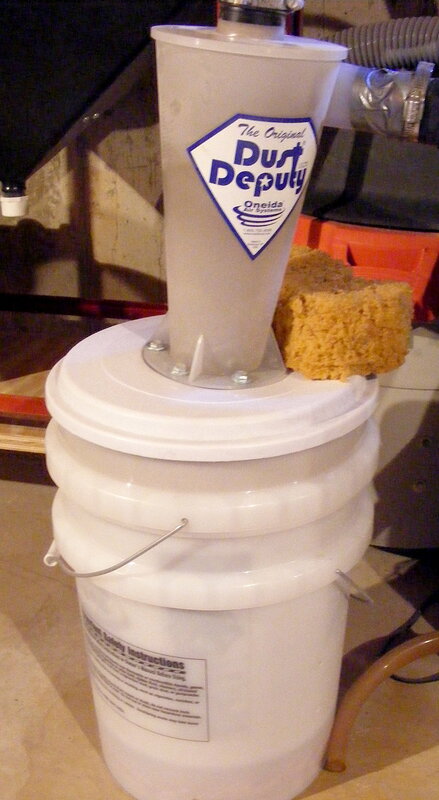 By doing this, it eliminates clogged filters and loss of suction on the shop vac. In other words, it saves labor and it saves time. That just about covers the major components of sandblasting, except for the sand. The term ‘sandblasting’ is somewhat misleading. The hobbyist generally doesn’t use sand. Using play sand for sandblasting is dangerous and not advisable because the sand contains silica quartz which can cause silicosis when inhaled. The large majority of the abrasive used inside blasting cabinets is glass—ground glass, crushed glass or glass bead. About 80 percent of the glass used is #8, 70-100 mesh. 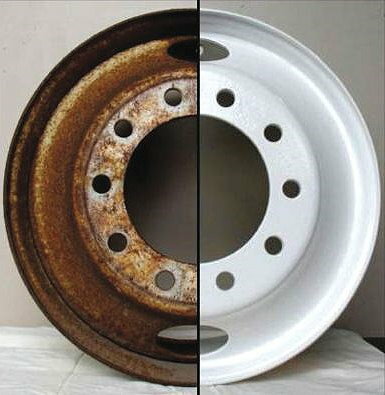 Glass is the most popular abrasive for general parts cleaning and automotive use. 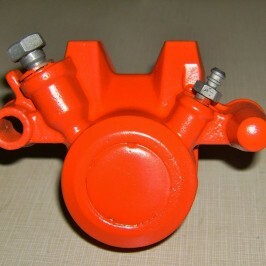 It’s great for aluminum like carbs, manifolds, alternator housings, etc. Walnut Shells – Popular for use on glass because it won’t scratch. Also used for aluminum. Silicon Carbide – Stays sharper and lasts longer than any other abrasive. Great for heavy metal parts. Steel Grit Abrasive – Leaves a very smooth finish. Extremely fast cutting on rusty metal. 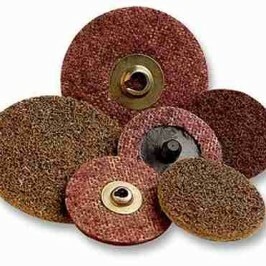 Aluminum Oxide – High-quality abrasive does not dull quickly. Leaves a smooth textured finish with no pits or burrs. Most compressors come with 1/4″ air line. Toss the 1/4” line and purchase good 3/8″ rubber hose. To help cool it, hang a large box fan behind the compressor to blow air over the cylinders. Install plenty of air outlets and several moisture traps. Change the oil yearly, at least, in your oil lubricated compressor. Keep the hopper full of media. Don’t put very greasy things in the cabinet because it plugs up the works. Degrease parts first. If things get plugged, back feed/reverse choke the system by putting a gloved hand over the tip and hit the trigger. The air backs down the siphon tube into the media and blows out any obstruction. To see inside the cabinet a lot better, turn the lights off in the shop. Buying an air compressor for blasting isn’t the time to save a few bucks. 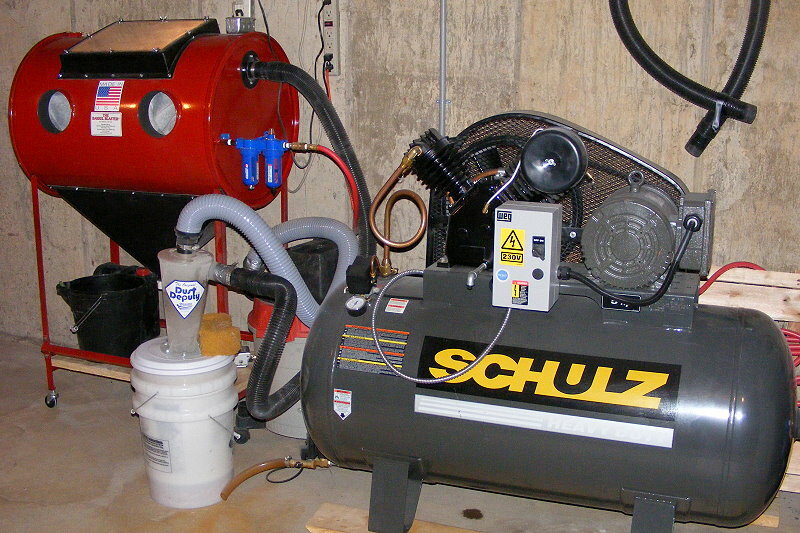 A good air compressor is necessary…and bigger is better. I’ll attempt to fly in the face of this technical ‘wisdom,’ though,when the build gets closer to completion. I thought I’d need to run more than 100 feet of hose from the compressor in the basement out to the garage to sandblast parts that are on the bike or too large for the cabinet. Of course, that would significantly reduce effective blasting PSI. 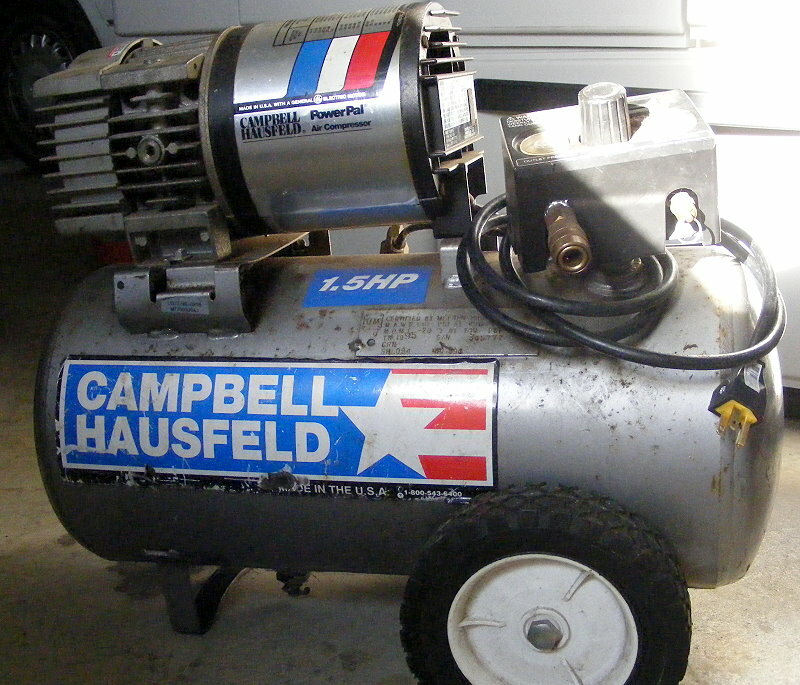 While looking at alternative solutions, I saw this older Campbell Hausfeld air compressor with 1.5 HP (right) on craigslist at a great price and decided to use it to try something different. It’s rated at 3 CFM at 90PSI and 4 CFM at 40PSI, so it will put the ‘bigger is better’ wisdom to the test. Stay tuned.